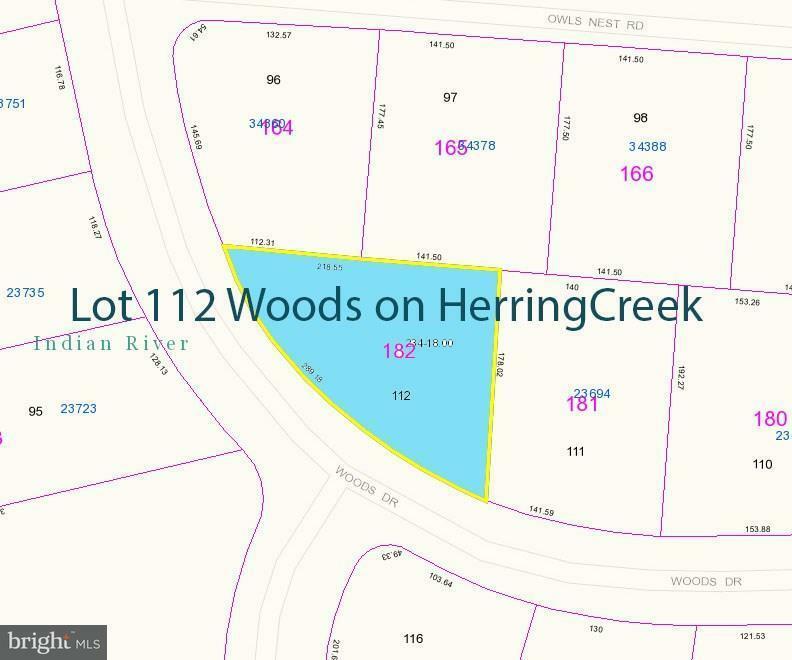 Build your dream home on this beautiful wooded corner lot in the quiet, pool/tennis/playground community of Woods on Herring Creek. Low HOA fees are $300/yr. Only 10 miles to Rehoboth Beach's Boardwalk. Stick/frame construction and Modular homes allowed. Public water and sewer, too. Acreage is estimated. Lot measures 218.55 (back) x 178.02(side) x 289.18 (curved road frontage).